Benefits of using instagram for Business: Here’s 8 amazing benefits of using instagram for business that you need to take advantage of today. With over 153 million users on instagram (source MindJumpers), just about any business can benefit using instagram in a multitude of ways. It’s never to late to start an instagram account for your business. Better yet, If you’re a business marketer, let your client know the benefits of using instagram for business they’re missing out on. No matter what industry, instagram is a perfect platform to increase revenue for your business. No joking, from fashion, fitness supplements, dog breeders, etc. I’ve seen each category gain from dozens to thousands of likes on instagram but most importantly traffic to your online business or blog. Even if you’re a small local business owner, there’s advantages of using instagram just for local business. I have experienced all of these instagram benefits for my own business and my clients, that’s why I had to write this article for you – small business owners especially. Get ahead of your competitors, download the instagram app and start gaining these benefits of using instagram for business today. Gaining trust is one of the many benefits of using instagram for business. Businesses that are “up to date” understand the importance of appearing relevent and ahead of their competition. Social media has leveled the playing field for businesses across the globe. The United States ranks #1 with 40% of the total share of instagram users. With instagram, you can quickly and easily make updates and show “behind the scenes” of your business and your services first hand. It’s as easy as taking a photo or short video, selecting a filter, and adding searchable hashtags. Best of all you can have direct conversations with your instagram account, leave comments, tag people in your photos, tag or create a location and leverage hashtags. You’re reachable. This builds trust. Trust is a HUGE benefit to have because people will be more likely to make a purchase from you as they familiarize themselves with your business and can easily interact and ask questions. Social media has finally become a requirement for businesses and many simply cannot afford not to leverage the traffic among many benefits because of it. True – instagram does have a younger audience, however – you could possibly gain more younger customers. Case Study: One of my clients has an eyelash extension beauty salon. She said her customer base was women in their late 30’s – 50’s. She began using instagram and utilizing hashtags for her city and services, also showing amazing before and after photos. People took notice, started following her, and started booking her services. Her customer base now has a broader age range. Gaining traffic to your website is a top priority and is a huge advantage of using instagram for business. Take advantage of this simply by making sure you have your website in your profile or posts! Your instagram account can possibly surpass your search driven traffic if you have your website’s link in your bio. Also, SEO tip: Having a link from your instagram account will give you a good high quality back link. When you tease people with your amazing instagram content, they tend to want to learn more about you and your business so they check out your website. This could be your Etsy store page, website store page, youtube channel, affiliate marketing store page, blog, etc. Case study: The possibilities! Imagine having an Etsy store and one of your hand crafted original pair of earrings have gone viral on instagram. People start taking screen shots of your earrings and sharing them. Because you placed a watermark on your image, people are visiting your Etsy store directly and making purchases. Pro tip: Put a direct link to your product in your instagram profile. Mention in your photo’s description that the link is in your bio. Place some researched has tags, for example: #earrings #fashion #jewelry. Throw a relating emoji in there and you’re golden. Local Business: If you have a local business, I’ll show you how to gain foot traffic to your business. Here’s my guide getting your small local business started on instagram. Also how to get local followers. 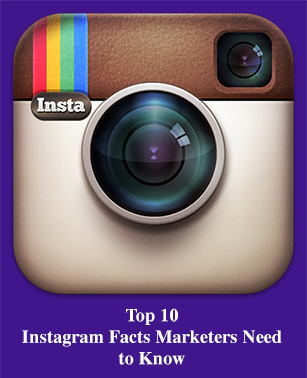 It’s official, Intagram has 10 times more user engagement than Facebook and Twitter! Why is that? It’s all about the images, the user is quickly scrolling, it’s QUICKER! Fast paced, purely driven by mobile users “on-the-go.” Instead of reading posts, the images do all the instant talking for you! The only text is the interactions, making engagement easier and faster. It’s the butter to your bread! Enjoy all the tasty “likes” and comments to your images. And reply to your users! Be humble and courteous they have an interest in your photos. (Shh! Don’t forget, you can also have your instagram content simultaneously posted to your twitter, Tumblr, Flickr, foursquare, Email, and facebook accounts too!) 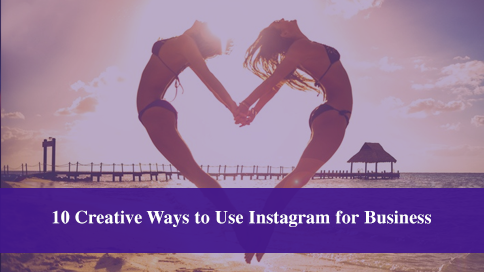 Higher user engagement is one of the best benefits of using instagram for your business. Your users are more likely to click on your website link. Professional looking photos of your products / services are a visually appealing benefit of using instagram for business. Filters can magically make photos appear more interesting and pretty. Instagram features some wonderful filters that can correct and balance the lighting of your photo and add a creative look and feel to your photo. Fun. Fun. Fun! Let your creativity come out and play! You can really have fun playing with these boxed filters. There’s dozens of extension apps just for filters and special effects. Go wild and have fun. Don’t forget videos, if you have a product – let people see it in action. Making money or increasing your company’s revenue is one of the many amazing benefits of using instagram for business. Usually a favorite benefit of instagram. In addition to getting more traffic to your website, showcasing your products and services on instagram is a great platform to run your marketing, leading to profits! Bottom line – the more followers you have, the better chance you have making sales. The downfall – the more followers and people you follow means the more time consuming to maintain instagram friendships. Usually the more interaction you have with a customer, the more likely they are to purchase from you. My own personal instagram shopping obsession: When I see my favorite beauty gurus posting updates of their makeup looks, I will check their photo description of which products they used. 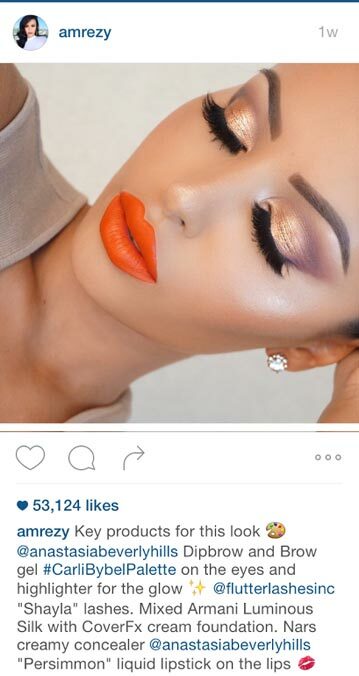 As you can see the example below, Amrezy lists the brands of makeup she used by sharing their instagram accounts. From there, I click on the “@” links and visit their website on their bio description. 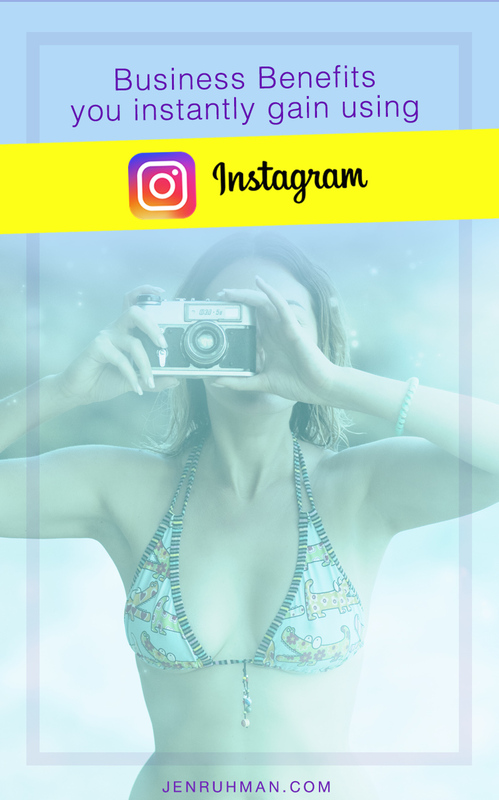 Free advertising is one of the great benefits of using instagram for Business. Instagram is a goldmine for seeing your product in action and getting brand exposure! You can easily do this by having a contest on instagram asking fans to re-post a photo and hash tag it! (People That hash tag can get popular really fast and go viral. Many brands will also send popular instagram users products for free in return for mentioning them in their description. This often gives the brands a large amount of exposure, and an increase in sales. Knowing your customers wants and needs is one of the most valuable benefits of using instagram for your business. You can gain useful insight what your target market likes and dislikes. For example, if you’re a clothing store. you may notice a certain style getting more likes than others. Case Study: A client was designing packaging for their skin care product. They used instagram to see which bottle design would receive the most likes. When one bottle design received an overwhelming amount of likes, they decided to use that preferred bottle design. Instagram is seriously fun. Even if you don’t feel like posting an update, you can scroll through the latest updates and usually laugh or learn what your competitors are doing. You can get inspired and learn what fits best for your business. Thank you for reading 9 Benefits of using instagram for Business. Now that you know the benefits of using instagram for business, here’s how to quickly get your business started on instagram. Did instagram benefit your business in an unexpected way? Do you have an instagram benefit you’ve experienced? Please write in the comments below. Great article Jen. This is just what I needed to read to convince my client to start utilizing instagram. Thank you Jacob. Glad I could help.